Eromnim3 are currently recording some soundscapes for a NASA related project. The International Space Apps Challenge is an international mass collaboration focused on space exploration that takes place over 48-hours in cities around the world. The event embraces collaborative problem solving with a goal of producing relevant open-source solutions to address global needs applicable to both life on Earth and life in space. 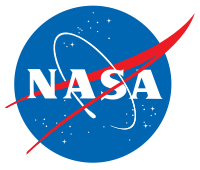 NASA is leading this global collaboration along with a number of additional government collaborators and 100+ local partner organizations. The SQA have been involved in bringing this Challenge to Scotland, and this years challenge took place a Glasgow on 20 April 2013. A promotional video was recorded by John A Ferguson (Rampant Film Production) over the 2 days of the challenge, with Eromnim3 commissioned to provide the soundscapes. The deadline is Friday, 14 June so I will endeavour to upload some portions at the weekend.